Rehrig Pacific Company has won a multi-year U.S. Communities contract to provide waste carts, recycling carts and related products and services. Rehrig Pacific Company has won a multi-year U.S. Communities contract to provide waste carts, recycling carts and related products and services. The firm landed the contract through a competitive solicitation process conducted by the lead public agency, Miami-Dade County, Florida. The initial contract term is for five years through September 30, 2021, with the option to renew the contract for five additional one-year periods. The contract number is: 00254. The contract launch date was Oct. 5, 2016. Learn more about Rehrig here. • On-street services such as cart assembly and distribution, container maintenance and route auditing. 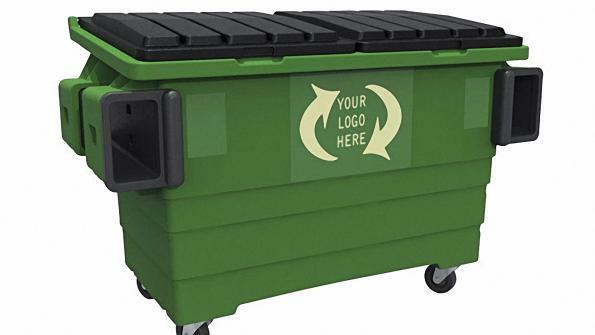 Any public agency that is in the market for or planning to buy waste and recycling carts should consider using this cooperative agreement, Miriam Singer says. She is chief procurement officer with Miami-Dade County, Fla., the lead public agency on the contract. This event is available on-demand here. Rehrig aims to help municipalities improve their waste collections operations through its waste and recycling products and solutions, Jack Weber says in a statement. He is national sales director for Rehrig Pacific. He says his firm has partnerships with the largest municipal programs and waste haulers in North America, and that his company offers comprehensive product warranties. The firm says it offers the largest manufacturing capacity in the industry with seven U.S. facilities. A total of six of those facilities produce roll-out carts. The plants are located throughout the country. The company supports sustainability through reducing/reusing/recycling and zero-waste production. The firm’s goal is to reduce its carbon footprint. Nearly all of the company’s products are 100 percent recyclable. The firm aims to use recycled material in its product manufacturing processes.